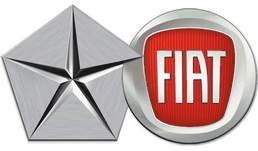 TURIN, Italy -- Fiat wants to turn Chrysler into a much more brand-driven company by organizing key management functions around the Chrysler, Dodge and Jeep makes and putting executives in charge of each one. Fiat insiders also say they want to see greater product differentiation among the three brands. That's how the Italian company does it, and some version of Fiat's system would work for Chrysler, said two senior executives who spoke on condition of anonymity. "We were surprised to find a vertical organization at Chrysler where, under the head of every function, there is not a direct report in charge of that function for every brand," a source said. Still, it is unclear how far Fiat CEO Sergio Marchionne will push Chrysler toward imitating the brand-based organization he installed at Fiat Group Automobiles five years ago. "Possibly, the new Chrysler would be a more brand-oriented, flat organization," said another source, "but not yet run as a holding of brands managed as virtual operating companies, like Fiat Group Automobiles." Fiat Group Automobiles encompasses the Fiat, Alfa Romeo, Lancia and Fiat Professional light commercial vehicle brands, plus the Abarth sports car brand. The brands are not legal entities but have their own CEOs who run them as virtually separate companies, reporting their own profit and loss statements internally. Each brand maintains separate organizations for sales, marketing, aftersales, dealer development and product planning, as well as a dedicated styling team. All brands rely on the group for engineering, manufacturing, quality, purchasing and logistics. The Fiat team is also expected to push for more distinct product lineups for Chrysler, Dodge and Jeep. "Future products of the various brands should differentiate more than what happens today because they will be sold in nearby spaces in the same dealership," a Fiat source said. He also said the product portfolio must be better balanced among the brands. "The Chrysler brand makes two-thirds of its sales volumes with just two models, the Town & Country and the 300," the source said. "The Dodge brand counts on a total of 13 models between cars and light trucks." Unlike Fiat, Chrysler has not had a history of strong leaders in charge of individual brands. For a while, marketing heads were assigned to Chrysler, Dodge and Jeep. Those executives reported to Chrysler's global marketing chief. But the jobs were eliminated when Chrysler shrank its white-collar work force 25 percent late last year. Chrysler has not had vice presidents of the individual brands since early in the DaimlerChrysler era, said Carrie McElwee, a Chrysler spokeswoman. The marketing organization reports to Steven Landry, executive vice president of sales, marketing and service. Chrysler's product development teams are divided into platform teams rather than by brand. Chrysler now has two platform teams: Jeep/truck and minivans/cars/SRT.